Founded in 1753, the British Museum was the first national public museum in the world. From the outset it was a museum of the world, for the world, and this idea still lies at the heart of the Museum’s mission today. The collection tells the stories of cultures across the world, from the dawn of human history, over two million years ago, to the present. Objects range from the earliest tools made by humans and treasures from the ancient world to more recent acquisitions from Africa, Oceania and the Americas, the Middle East, Asia and Europe, as well as the national collections of prints and drawings, and coins and medals. 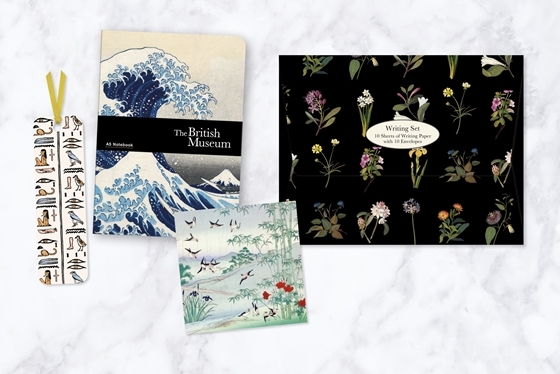 The exclusive British Museum gift stationery range from Museums & Galleries showcases a curated mix of well-known treasures and hidden gems from the museum. To see the full range of our branded products please click on the following link, The British Museum Products.